In Miami’s trendy Wynwood Arts District, Casa Wynwood provides a space for designers, artists, musicians, and all types of creatives to come together in a 7,800 sq. ft. playground of a venue. The Shade Store is proud to be one of the sponsors of this unique venture, and our draperies act as room dividers and decor throughout several rooms. From corporate events to concerts to art exhibitions, Casa Wynwood has the stylish space for hosting incredible events. 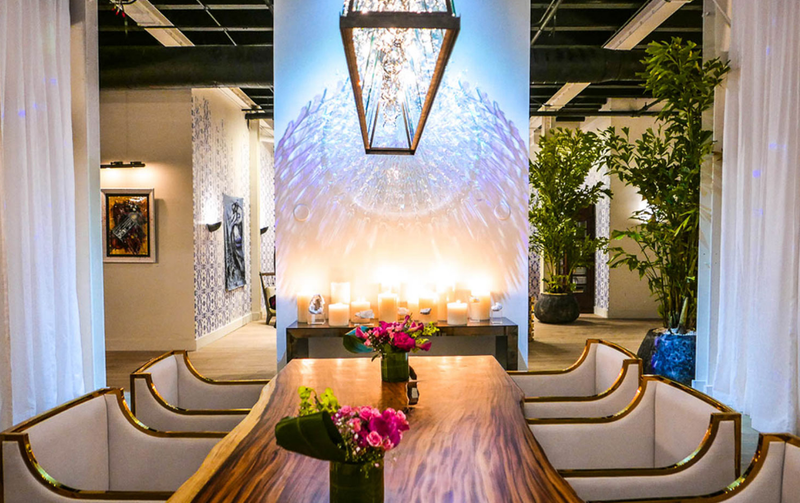 The lab, with interior design by Erinn V., is a popular venue for luxury lifestyle events. 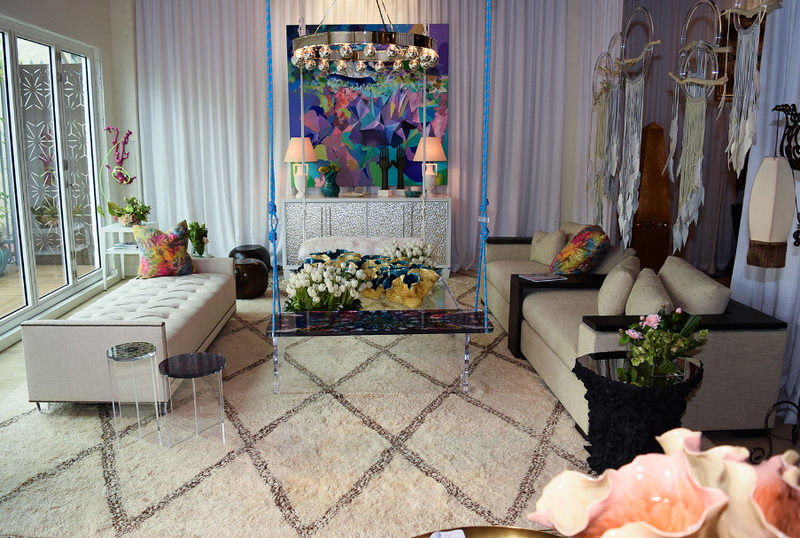 You’ll not only feel like a star at Casa Wynwood, you can work with them, too — the space’s leading event planner is Colin Cowie, television host, wedding planner, and author. “Our white linen, ripple fold draperies are the one of the most inquired about products in Casa Wynwood,” says Christi Tasker, founder and Chief Happiness Officer of Casa Wynwood. The versatile Conversation Room, shown at the top of the post, and the inspiring Dining/Conference Room, shown above, both feature our Ripple Fold Drapery. Casa Wynwood’s spaces are flexible, and the draperies can be opened or closed for more privacy depending on the needs of certain events. Ripple Fold Drapes utilize the track system of hardware, allowing them to glide smoothly and easily. “The Shade Store has become not only the consumer source of window fashions, but designer and trade partners that have found The Shade Store through Casa Wynwood constantly result in rave reviews,” Tasker explains. We are pleased to be a part of the “living, breathing, luxury lifestyle magazine” venue that is Casa Wynwood, showcased alongside other illustrious sponsors like ELLE DÉCOR magazine and Circa Lighting. Visit their website to learn more about the space, see featured artists and sponsors, and upcoming events.